It’s that time again, folks. The time of year I get out of bed just a little earlier than usual to provide a little insurance out in my garden. 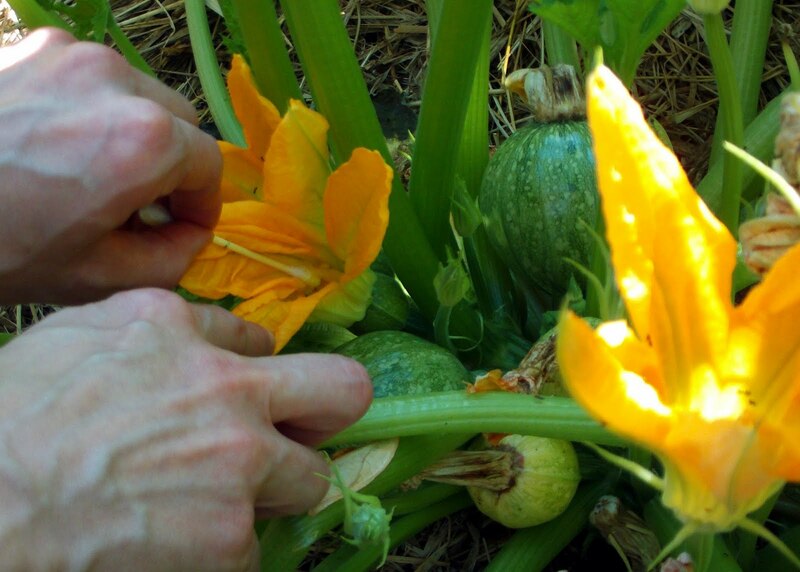 Yep – cotton swab in hand, before I get dressed for work I go outside and hand-pollinate my zucchini plants. Why in the world would I do this, you might ask? In a world where bees are scarce, one never can be too careful. (Heaven forbid we don’t get enough zucchini!) Zucchini plants have both male and female flowers. 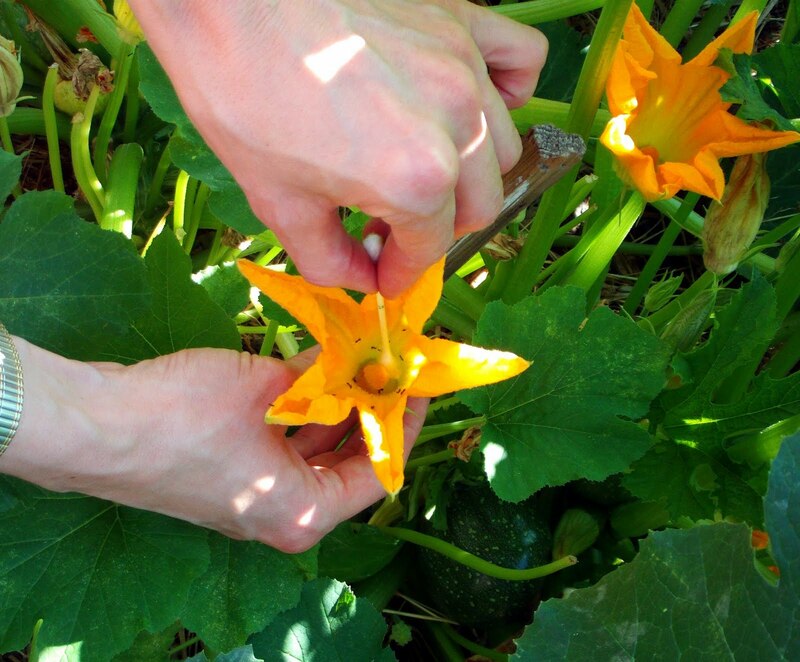 To actually get any zucchini fruits, the pollen from the male flower must reach the female. Generally this is the bees’ job, but depending on where you live, you might or might not get enough visitors to do the deed. And that’s it! Your zucchini has been pollinated, and should begin to grow normally. A female flower that has not been pollinated will just shrivel up and wither away. For some additional striking zucchini photos, go here. And for a delicious zucchini pie that tastes just like apple (I promise! ), go here. 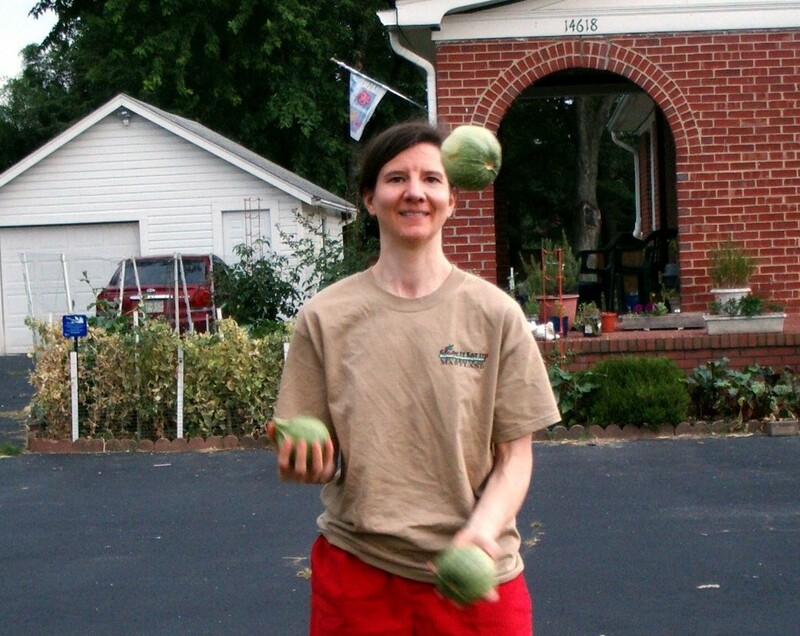 We need round zucchini because they’re easier to juggle than regular zucchini! well of course – to juggle with!! 🙂 Thanks for the photos of the pollination process. Unfortunately, I don't see an excess of pollinators in my garden and this task might be helpful. Round zucchini are also great for stuffing. What do you stuff them with? I'm always looking for new things to do with my veggies. I haven't gotten any new round zucchini for about a week now, because my 'babies' keep turning yellow and rotting. (You can see one in the photo above, in fact.) Anyone know what might cause that?